November | 2015 | Larval Subjects . Things or bodies are split between their virtual proper being and their local manifestations; their powers and their qualities. It is not qualities or properties that individuate a body or thing. Indeed, properties or qualities are effects of powers or capacities. They are activations of powers, actualizations of powers that flash into being as events as a result of either interactions of bodies with the field in which the thing or machine dwells, or as a result of operations or activities unfolding within the thing. It is not qualities that define a being, but rather powers, capacities. A power is what a being can do, a singular point, a capacity. It seems that the central mark of the real is that it is that which eludes us. Indeed, Lacan will go on to say that the real is a missed encounter. At the level of the signifier, the real is that which eludes symbolization. No matter how thorough we are in our inscriptions and images, something always slips away. There is something the signifier fails to catch or retain. Moreover, the system of temporality involving retentions and anticipations as described Husserl is always subject to the surprise event, to that which was not anticipated; the missed encounter. This is true whether we are speaking of the arrows of fate or fortune. 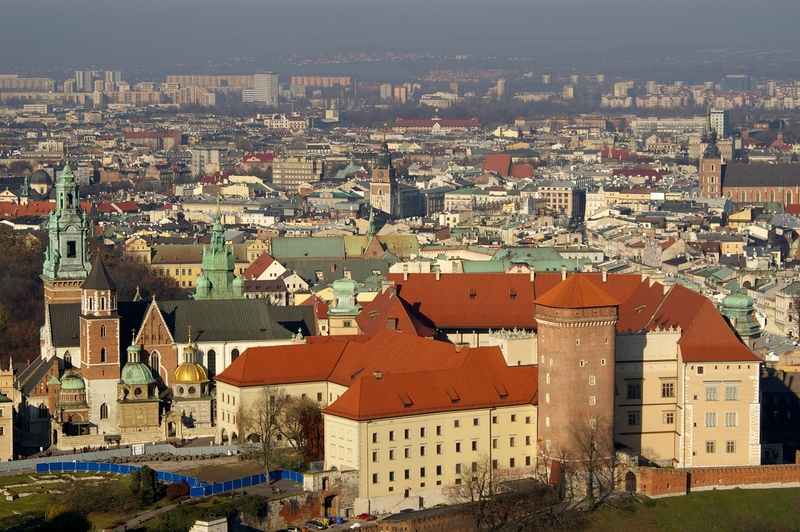 I have been overwhelmed by the hospitality and generosity of the people of Jagiellonian University in Krakow, Poland. It was a deep honor to give a Keynote for this conference and to be given the opportunity to teach a seminar on Speculative Realism and Object-Oriented Ontology. The conference, Speculative Realism and Cultural Studies, was deeply inspiring, with animated discussion about what speculative realism brings to the table for media studies and what the political implications of object-oriented ontology and speculative realism might be. In particular, I went away with the sense that despite it being the core of my work, I need to do more to theorize the imbrications, the foldings, the knots and intertwinings of the signifying/semiotic dimension of media and the material dimension of media. In many respects, this has been the core of my work: how to preserve the advances and contributions of post-structuralism, postmodernism, semiotics, and semiology, while making room for dimensions of materiality that act not by virtue of what they signify or mean, but by virtue of their powers or what they do. The distinction between system and environment is self-referential in the sense that it is an activity (this distinction is an ongoing process that has to reproduce itself from moment to moment in the order of time in a temporality constituted by the system) that only occurs on one side of the system. It is the system that distinguishes itself from its environment, producing an outside and an inside. For the environment, by contrast, this distinction does not exist. Here it’s necessary to note that Luhmann uses the term “environment” equivocally. There is, on the one hand, the environment that exists as such. This environment is what Deleuze and Guattari, in “Of the Refrain”, referred to as chaos or the “milieu of all milieus”. It would be there regardless of whether or not there were any systems to observe it. And that’s just what systems do, according to Luhmann. They observe events that take place or unfold in their environment (other-reference) and within themselves (self-reference). On the other hand, there are the environments constituted by systems. These are the flows or phenomena in other-reference to which a system is open. We can call these two environments Ei and Ec to refer to the “independent environment” and “constituted environment” respectively. The environment (Ei) is always more complex than the system. 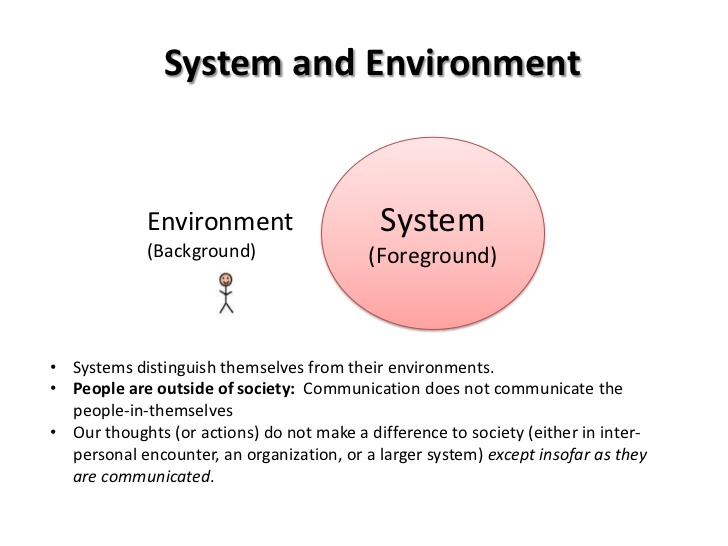 Put differently, there is never a one-to-one correspondence between system and the independent environment (Ei). Here I think Luhmann makes a real advance over semiotic and linguistic idealisms because, where these idealisms tend towards a sort of imperialism of the sign and signifier that recognizes no outside, Luhmann’s thought is premised on the existence of a hyper-chaotic outside that can never fully be mastered. If there can never be a one-to-one correspondence between system and Ei, then this is because the environment is hyper-complex and systems need to be capable of engaging in operations and observations in real time (or, at any rate, the time of the system). The system must select and establish selective relations to its environment. Systems are only ever selectively open to their environment. For this reason, systems are necessarily exposed to risk, for it’s always possible that the channel of openness that a system established did not anticipate or retend something of deep importance. It is this risk, the aleatory, the unexpected (the openness of systems is temporalized complexity), that both plays a key role in how the system evolves, but also opens the system to the possibility of destruction. Shaviro on Nick Srnicek and Alex Williams’ new book. When I first thought of putting together The Speculative Turn and contacted Nick Srnicek​ about such a project, it was conceived as a sort of Deleuzian rejoinder to speculative realism. It became something very different. Everywhere in the blogosphere I was hearing about these speculative realists and I kept thinking to myself that Deleuze had already been a realist well before any of this. Of course, the new materialists were well aware of this as can be seen in the work of theorists such as Alaimo, Barad, Bennett, Braidotti, DeLanda, Protevi, Stengers, etc. Not only was there profound engagement with Deleuze throughout all of this work, but it was dealing with a similar set of issues (though arguably in a far more profound way in my opinion). Similar things can be said about Donna Haraway. It comes as no surprise that there’s frustration at the paucity of substantial engagement with this work in the speculative realist literature. This is exacerbated by the gendered nature of the two streams of thought, SR being very much a boys club. I do not at all intend such remarks to be a vilification of SR. On the one hand, as I’ve written in the past regarding the politics of citation, it’s not enough to suggest that this is just a lack of awareness of this other work. Drawing on Ranciere, there’s a sort of “aesthetic” (in Kant’s sense of “forms of receptivity” or sensibility) unconscious at work here that seems to not to see a priori. On the other hand, I’m bothered by this missed encounter (and it’s not too late) because there’s so much to be learned from both of these camps. In my view, there’s a much richer political and ethical content to be found among the new materialists, as well as a profound realist thinking of matter. Of course, in the debate that’s gone on between Harman and I since the beginning– between matter/materialism (me) and Harman’s Medieval scholasticism of substantial forms –I find inspiring vectors of thought for thinking the agency or active nature of matter among the new materialists. Where Harman proposes a “HOO” or Heidegger-Oriented Ontology, I propose a DOO or Deleuze-Oriented Ontology. Where Harman proposes a SFOO or “Substantial-Form-Oriented Ontology”, I’ve held that pattern or organization is always-already incipient in matter, always waiting to be activated in a variety of surprising and lively ways. I hasten to add, that I share Harman’s critique of “undermining“, but believe this is already the new materialist positions. If the new materialists have taught us anything, it’s that 1) matter has agency (which isn’t equivalent, I think, to defending vitalism), and 2) that under requisite conditions, new forms of pattern or organization emerge within matter that supervene on their parts and are not possible without them, but new powers emerge as a result of these assemblages. 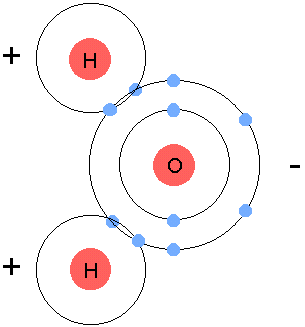 Oxygen alone and hydrogen alone are both very combustable and certainly do not have the power to wet, together they generate new powers. Everywhere the new materialists teach us of the liveliness of matter, of its creativity; but they also do this while taking into account situated epistemological conditions of knowledge production (Haraway, Barad), and the role that normative values and political context play in our investigations in the world. Above all, they show how we are always sheathed in the earth, in a world that exceeds us. As Bennett remarks, you can’t truly throw anything away. I find that in these reflections I’ve lost my original train of thought. These days I find myself thinking of a return to that project on Deleuze. I have a number of projects in the works. One on Foucault as a forerunner to assemblage theory and the new materialists. Another on Luhmann, who I see as an under-appreciated thinker in the Anglo-American world of Continental theory. Yet another on the ontology of the fold and vortices I’ve been developing. Yet I feel the lure of that book on Deleuze: The Speculative Realism of Deleuze and Guattari. I wonder what such a book would look like. It would certainly not be a mere study. It would, above all, begin with univocity and immanence, and a critique of hylomorphism. It is curious and perhaps symptomatic that we don’t find more work on food in cultural studies. It’s all over the place in ethnography, of course. Yet in cultural studies we just don’t seem to find a lot written about food. Perhaps this is just my ignorance. It’s not as if I’ve really sought out such literature. However, sometimes ignorance can be a virtue. Thinking from a place where one does not feel crushed and paralyzed by a massive archive you can reflect with innocence and naiveté. You can ask stupid questions. Perhaps this absence– if it does truly exist; and if it doesn’t I’ll pretend that it does –arises because food short-circuits all of the categories of cultural studies. It is neither nature nor culture and is both nature and culture. It is the failure of the nature/culture distinction itself; the ultimate media by virtue of being absolute mediation. 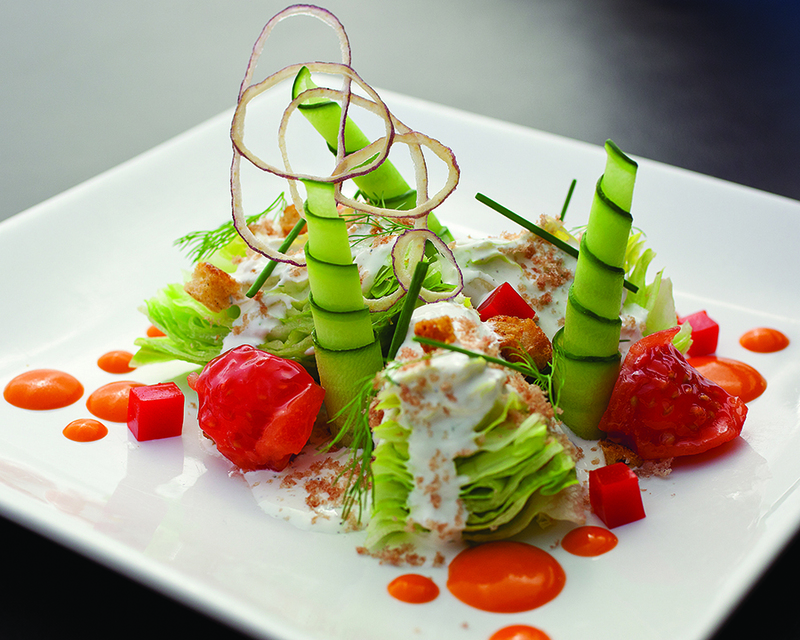 Food is the failure of the cogito and any transcendental subject or unity of apperception. Food is that which marks us as absolutely of the earth and in the world, condemned to only ever know partial transcendence. Soil is a serious question on Mars and the Moon.